Scott Beck and his partner Alvaro Estrada won their first four matches before winning the championship match. 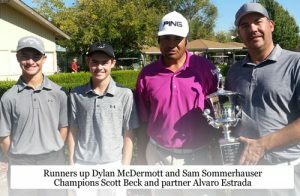 Beck rolled in a 12 footer on the 18th green beating young Dylan McDermott and partner Sam Sommerhauser 1 up. The young competitors won 3 matches, the first two matches on the 20 th hole each round and 2&1 in the third round before losing the last match on the 18th hole. One of the best matches of the tournament. 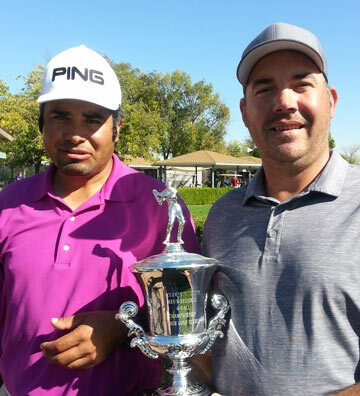 Last year’s winners Mike Williams and Scott Bubany lost to Beck and Estrada in the quarter finals on the 19th hole.